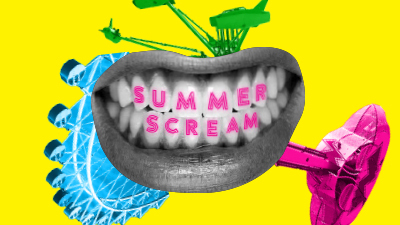 Summer Scream at Lakeside Amusement Park is back and we are celebrating 7 years of unlimited rides, open bars, and unlimited fun. It's the only private, cultural event to take over Denver’s historic Lakeside Amusement Park - all in support of the Denver Film Society. New this year - $100 VIP Tickets - Skip the lines and experience the park an hour earlier from 5:30 - 6:30 before the park opens its doors to general admission guests. The classic 4-pack is back and only $130 - SOLD OUT! Will Call / Box Office will be open August 31st from 4:30pm-9:30pm at Lakeside. © 2019 ShowClix on behalf of Denver Film Society. All sales are final. Tickets are non-refundable.